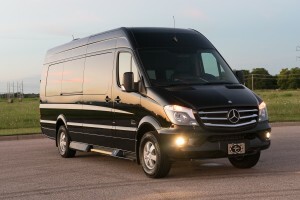 Mercedes Sprinter Limousine will offer you more fun getting there then once your there. 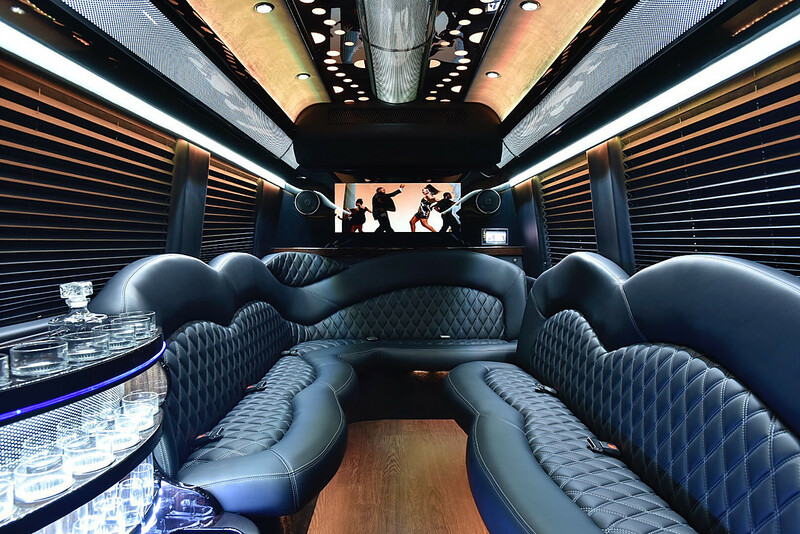 With seating for up to 12 passengers, the Mercedes Sprinter Limousine is quintessentially developed for larger parties who are looking for the perfect vehicle. With amenities for both business and personal use, the Mercedes Sprinter Limousine is bound to have the accessories that will make your trip into one of the most memorable of your life. Featuring incorporated flat screen TV’s, USB ports, 110v outlets, accent lighting, premium sound systems, high-quality seating, a large beverage center complete with glassware, and even a large storage area in the rear for luggage or any cargo needs making this vehicle the ultimate in comfort and true luxury. By incorporating many limousine touches with a low profile exterior, you and your guests can travel in uninterrupted style and comfort without drawing unnecessary attention to yourselves. 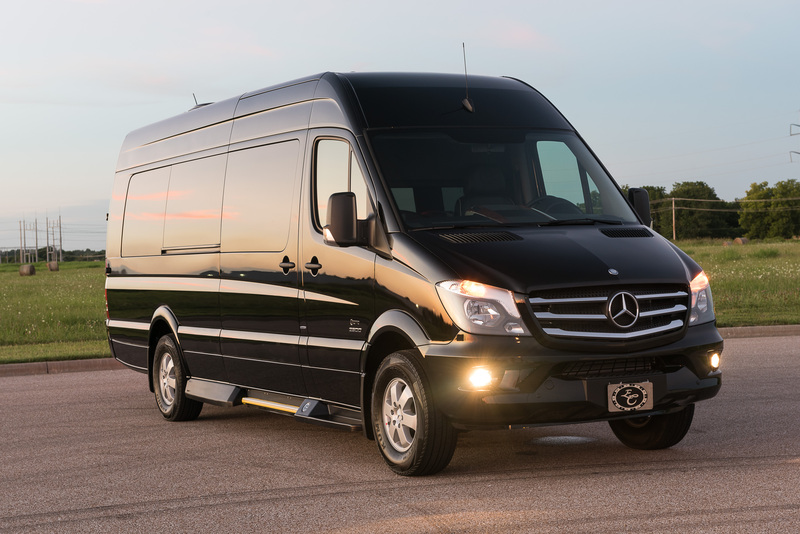 After just one trip you’ll understand why the Mercedes Sprinter Limousine is the vehicle of choice when it comes to discrete transportation. The Mercedes Sprinter limousine is well-equipped to make sure that your business or personal transportation can stay as mobile as you are. For more information, give our sales team a call daily from 9am to 9pm at 570-823-5233.